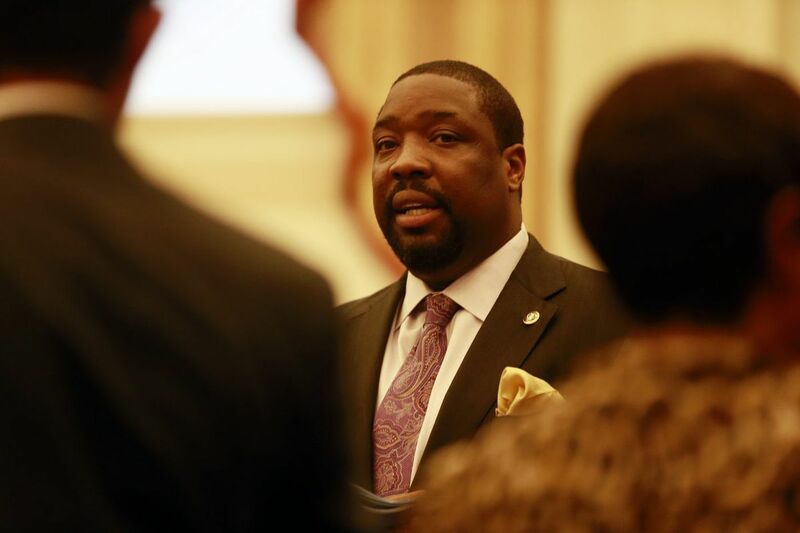 Philadelphia City Councilman Kenyatta Johnson is again being sued in federal court by real estate developer Ori Feibush. I sat in a federal courtroom 14 months ago, watching a judge and jury listen to the saga of City Councilman Kenyatta Johnson and real estate developer Ori Feibush. After the verdict, I wrote that the jury probably thought that Johnson and Feibush deserved each other. That was considered harsh by some. I had my reasons. Johnson appeared evasive while testifying, saying 17 times that he could not recall details of why Feibush was turned away when he tried to buy city-owned vacant lots in his district, which stretches from Center City through South Philly to the airport. Feibush was the opposite on the stand, so expansive and self-involved that he claimed the failure to buy two vacant lots "turned my life upside down." It looks as if another federal jury is going to have the chance to mediate yet another squabble about the sale of more vacant lots in Johnson's district. Feibush has another lawsuit in the offing, accusing Johnson of again manipulating the sales process to stymie his efforts to buy then. So who cares, right? These two have been going at each other since well before Feibush unsuccessfully challenged Johnson in the 2015 Democratic primary election. If you pay taxes in this city, you should care. It was reported when Feibush first filed his suit on July 17 that he won the last court battle with a judgment of $34,000. The true cost in that case is actually four times that much. Both sides appealed the May 2016 verdict. That led to a settlement on May 30, which bumped up the $34,000 judgment to $127,114. Attorneys from the city Law Department represented Johnson in the first case (and will again in the new lawsuit.) That cost $8,549. And it cost $505 to file the city's appeal. Grand total: $136,168 for the spat. For context, Johnson's Council pay is $129,632 per year. We paid for all that. And apparently nobody learned a lesson from it. Feibush, in his new lawsuit, accuses Johnson of continuing a "personal vendetta." A spokesman for Johnson responded to the suit by accusing Feibush of waging "a one-sided personal and political vendetta." Did somebody say they deserved each other? Harsh, I know. But Feibush has a point about the controversial concept called councilmanic prerogative, a tradition that grants to the 10 Council members who represent districts in the city singular authority over any land development that requires legislative approval. That was the heart of Feibush's first lawsuit. And it's back for an encore in the new claim. Johnson, through a spokesman, said the city now has a "Land Bank," an independent agency making decisions about city-owned land without the need for a Council member's approval. Any member of Council can veto the transfer of city property in their district to the Land Bank. And a City Council resolution is required to approve the sale of that property from the Land Bank. So the councilmanic prerogative lives on. And we'll keep paying for it as long as it does.